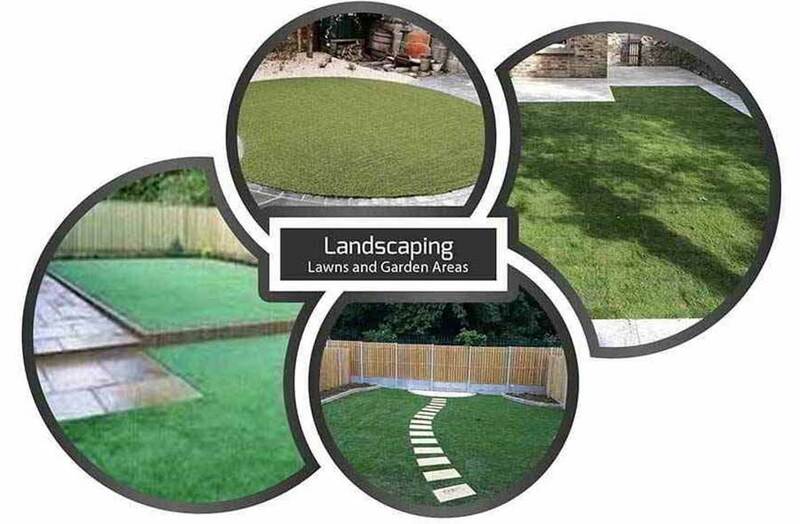 Expert patio contractors who can build your patio or garden area in a stylish and affordable manner. We are experienced patio contractors for Dublin. Offering free quotations and affordable prices. Patios tailored to your budget and created using natural stone, sandstone, limestone, slate, granite or garden paving products from Kilsaran and Tobermore. All our patio installations are covered by a 5 year installation guarantee. Only quality materials used to ensure a long lasting and vibrant patio area. 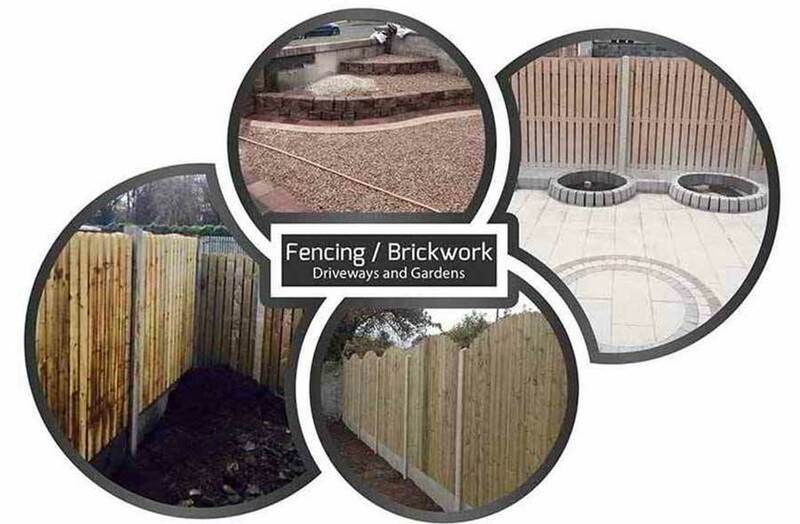 We can extend your garden area, replace your old patio or add to an existing patio or garden area. 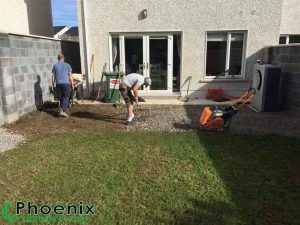 Our team is a 3rd generation company that has been installing garden and patio areas to a high quality throughout Dublin for over 20 years. 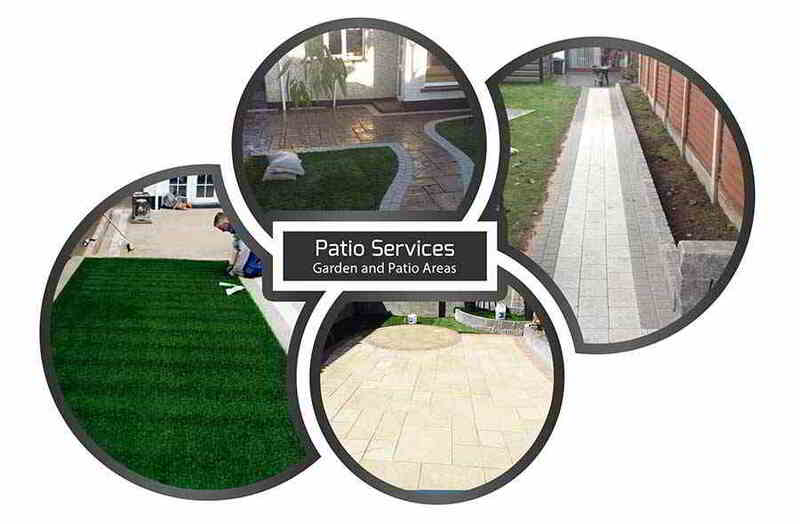 Call us today for a free visit, we will go through your patio or garden area together with you. We can give you options on standard flagstones from Kilsaran and Tobermore, use natural stone products like slate, granite or sandstone. We can help you pick a style and a colour for your patio in Dublin. We will provide a fully itemised quotation highlighting the installation, the cost and the estimated time frame for your patio installation. 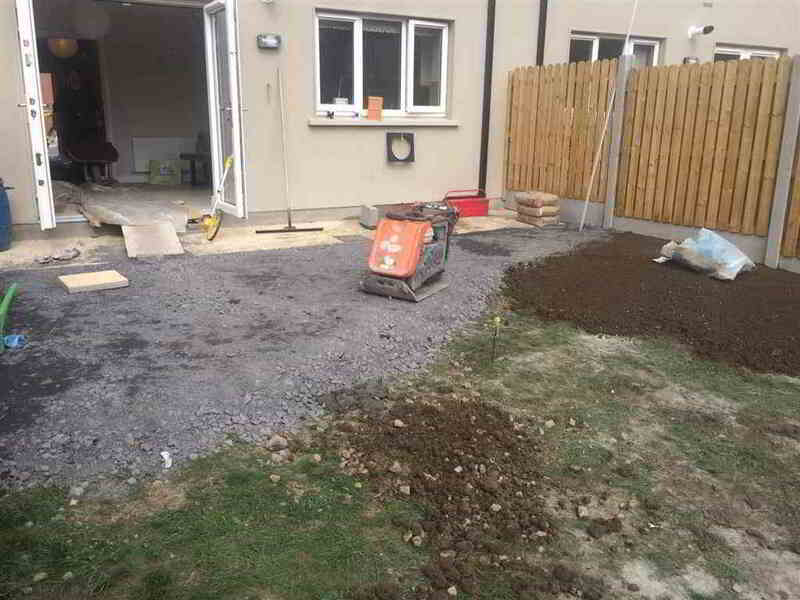 Preparing the patio area in Dublin for installation. Natural stone products are more expensive than standard garden paving or manufactured flagstones. The value comes from the way natural stone will always hold its colour and style. Manufactured products will slowly over the years lose some of its colouring. Power washing a natural stone product will bring the stone back to its original colour and finish. Call the experts at Phoenix Driveways and Patios today for a free estimate in Co. Dublin. 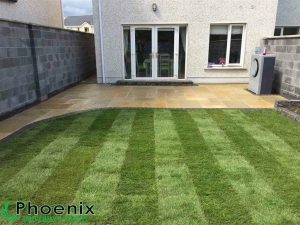 Expert patio contractors in Dublin. 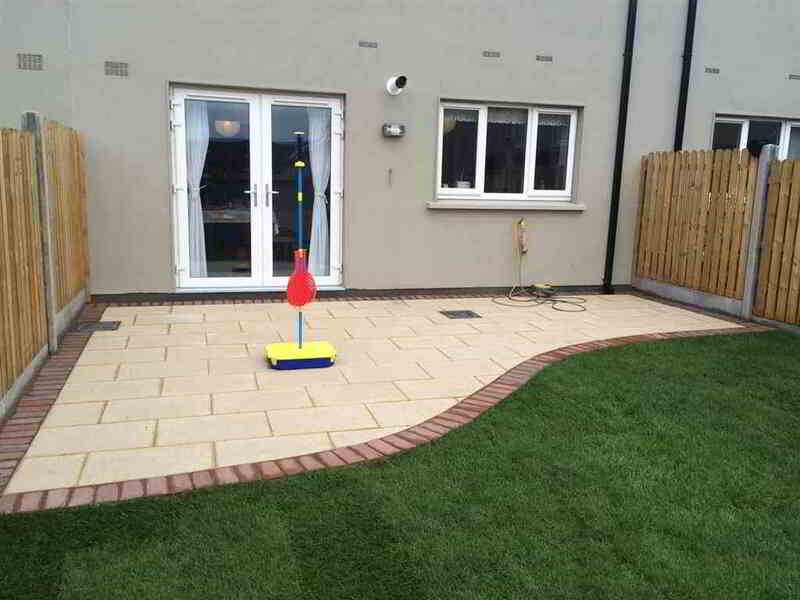 Range of patios installed in natural stone, flagstones and garden paving. Affordable prices. 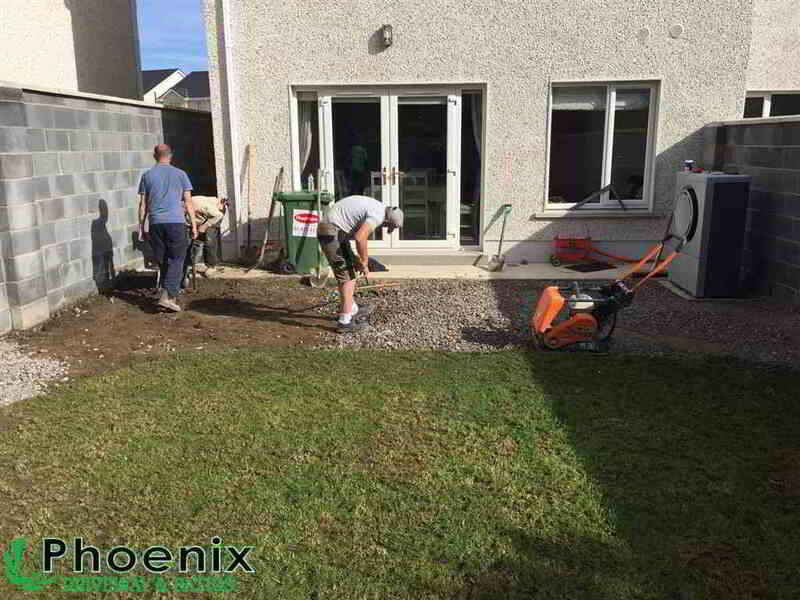 If you live in Co. Dublin and require a professional and efficient driveway or patio contractor, give Phoenix Driveways and Patios a call now. We offer unbeatable service, 365 days a year.